Are science policy makers ready to embrace the digital revolution? | The Forum Network, hosted by the OECD: Shape ideas. Shape policy. Shape the Future. Policy makers in science and innovation are charged with designing and overseeing funding mechanisms that funnel billions of dollars of public money into universities, PROs, businesses and not-for-profit entities. Yet despite the huge investments, the science-of-science policy has received almost no funding. Oftentimes, policy makers struggle to demonstrate real societal impacts from investments. Arguably, they have paid more attention to ensuring science systems continue to receive adequate funding and respond to domestic demands. Assessing and demonstrating performance has often played a secondary role to setting high-level objectives and getting money out the door. Politicians and senior public-sector leaders are increasingly demanding hard evidence of what works and what does not. Science and innovation-related spending is no longer exempt from pressures to provide quantitative evidence of impact. In some countries, the storyline of good science delivering societal outcomes many years down the track is wearing thin. At the same time, hard-to-answer questions on optimal institutional settings, design of funding pots and efficient allocation systems persist. Policy makers need to focus more on supporting monitoring systems, evaluation frameworks and data infrastructures, working with the very researchers and academics they fund. Advances in information technologies and data-linking techniques are now presenting policy makers with the tools to start answering the hard questions. A handful of countries have developed national research information systems that harvest data from multiple sources. If these systems can be linked to other national data infrastructures (e.g. housing economic, environmental and social data), science policy makers will be in a unique position to demonstrate quantitative relationships between science and innovation, and real-world outcomes. Researchers could also use these linked data infrastructures to prove, for example, that firms collaborating with universities become more productive, or that certain types of research lead to improved environmental outcomes over time. They could also produce useful descriptive statistics, such as the value and growth of spin-out companies. For several years, I led efforts in New Zealand to improve data holdings on research, science and innovation. Through collaboration between government agencies and key sector bodies, we identified the enduring questions to answer, our data needs, our current data holdings and a high-level roadmap for action. Key challenges were securing trust in data use, developing communication channels within institutions and identifying best practice globally. Implementation has centred on securing sustainable funding, providing detailed communication of benefits, and establishing legal and governance frameworks. 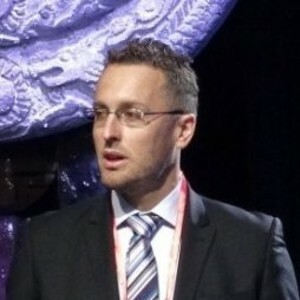 The New Zealand experience and other similar initiatives all point to the social and cultural challenges in building data infrastructures for science and innovation policy. The idea of “social licence”, or community acceptance and trust of data use, is in the spotlight. Institutions and researchers need to have assurance that data about their funding, activities and results will be handled appropriately and protected when needed. Many universities and research organisations are also not used to automatic data transfer to a central hub. The funding of national level systems also presents challenges. The optimal cost sharing between the central research and innovation ministries, science funders and research providers will differ depending on institutional responsibilities and funding flows. Science policy cannot afford to be immune to the digital transformation we are witnessing across economies. We need to embrace digitalisation if we are to prove the ongoing worth of science and innovation, and raise the effectiveness of public spending. Policy makers need to support digital tools and their social licence, creating long-term plans for establishing linked data infrastructures, establishing effective governance and funding structures, and building capacity for the science-of-science policy. 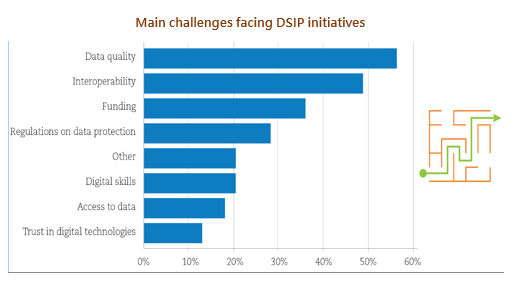 [i] “DSIP initiatives” refer to the adoption or implementation by public administrations of new or re-used procedures and infrastructures relying on an intensive use of digital technologies and data resources, to support the formulation and delivery of science and innovation policy. The primary goal of DSIP initiatives is to support certain aspects of the public-policy process, although any actor in the system – including in the private sector – can provide functionalities.